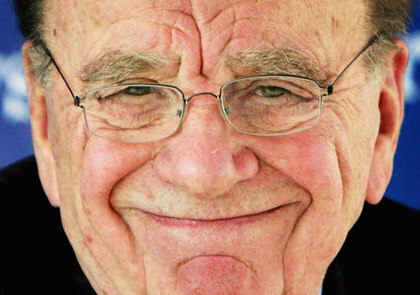 The Midnight Review: Rupert Murdoch On Hacking Scandal: "No Big Deal!" "I know who did it but I won't tell because they may get in trouble. That's not a cover-up, is it?" It appears the head of News Corporation, Rupert Murdoch, has finally admitted that there phone hacking was occurring at his companies but has seemed to dismiss the severity of the matter, apologizing, claiming ignorance to the extent, and attempting to downplay the whole scandal. Rupert Murdoch admitted to a phone-hacking cover-up at one of his tabloid newspapers and apologized Thursday for not paying more attention to a scandal that has convulsed his media empire and rocked the British political establishment. "I also have to say that I failed," he said before a long pause. "And I am very sorry for it." Murdoch also admitted to a "cover-up" of phone hacking at his British Sunday tabloid The News of the World, but said his News Corp. had been a victim of it, not the perpetrator. "Someone took charge of a cover-up, which we were victim to and I regret," he said. He blamed "one or two very strong individuals" at the paper, but did not name them, saying it was because they could still face criminal charges. Murdoch was being questioned at the independent British inquiry prompted by illegal eavesdropping by his newspaper. The scandal forced the company to close the best-selling tabloid and has led to dozens of arrests, two parliamentary investigations and the Leveson Inquiry, before which Murdoch was testifying Thursday. He suggested key parts of the scandal have been overblown. "The hacking scandal was not a great national thing until the Milly Dowler disclosure, half of which has been somewhat disowned by the police," Murdoch said. He was referring to the revelation that people working for him had hacked into the voice mail of a missing 13-year-old who later turned out to have been murdered. So let's get this straight - Murdoch knew about the cover-up but didn't say anything about it and then claimed to be the victim once he was drawn into the investigation and put the blame on a couple unnamed individuals because they could face criminal charges, which by the way, knowing the names of these "very strong individuals" but refuse to tell their names to investigators because they could face charges seems to be the exact definition of a "cover-up." Murdoch then continues by saying the hacking wasn't a big deal until the public revelations that his employees (those very same ones he knew about but wouldn't name) hacked into a murdered 13-year-old girl's voice mail and that those details should be forgotten because they have been "somewhat disowned by the police."